After several years of saying it, I finally did it. I've lost those 20 pounds. In addition to shedding pounds, I'm healthier and more fit than I've ever been. My blood pressure is finally normal again. It's the biggest thing I've done this year. This change to my lifestyle has definitely given me the confidence boost to incorporate bolder fashion choices this summer. I exercise everyday so I have not been able to maintain the curls I usually wear. I don't have hours to spend on my hair. A hair accessory is easy. 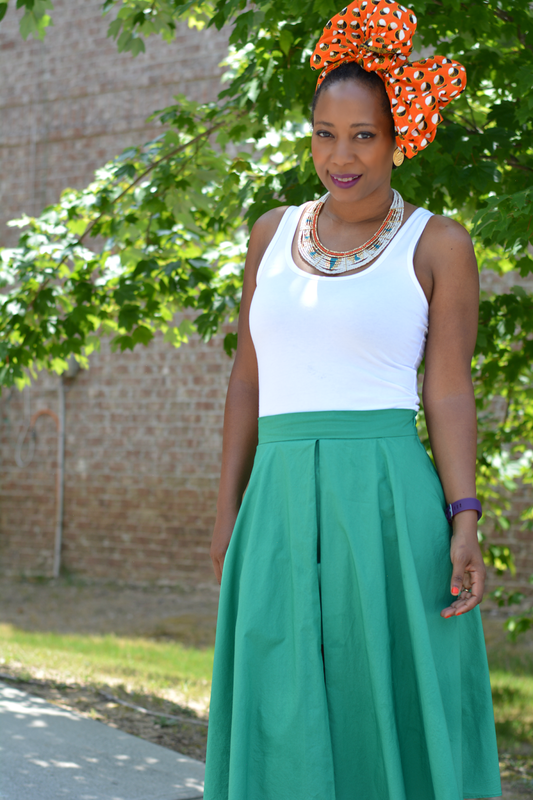 A big bow is a fun and unique way to keep the hair up and away from the face this summer while also staying stylish. This skirt was very tight on me last summer. It fits perfectly now. I like how it shows a peek of legs. 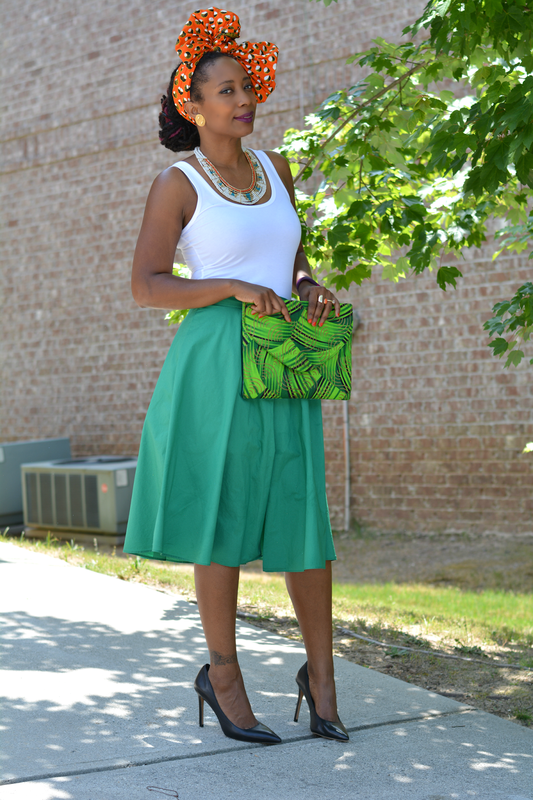 A bold skirt doesn't have to be mini. It can be maxi. It can be midi. It can be a combination. 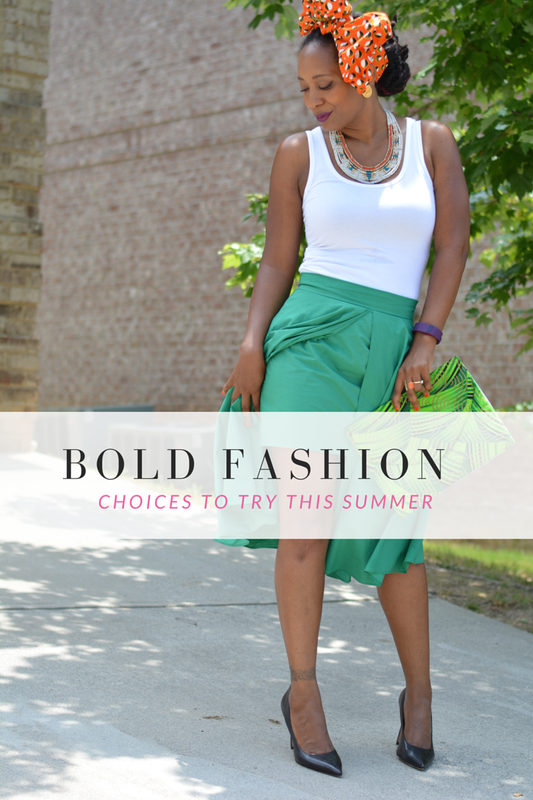 The boldness can come from large prints or chevron stripes. It's the fashion choice you wear that's also a little bit scary. I've always been open to color but now I'm doing color, prints, and statement pieces all at the same time. 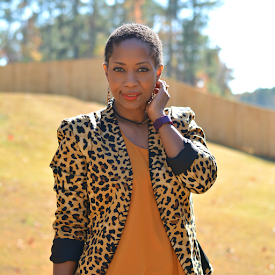 Injecting lots of color into your style is very refreshing. Vivid patterns and bright colors automatically brings out the bold. Feeling confident isn't just about what's on the outside. It also comes from within. It's making bold choices for your body. What you put it in and how you take care of it. That includes good decisions about oral care. Dental hygiene is very important to me. More so now that I'm in braces. My teeth and gums need extra care to stay healthy. I use mouthwash at least twice a day. 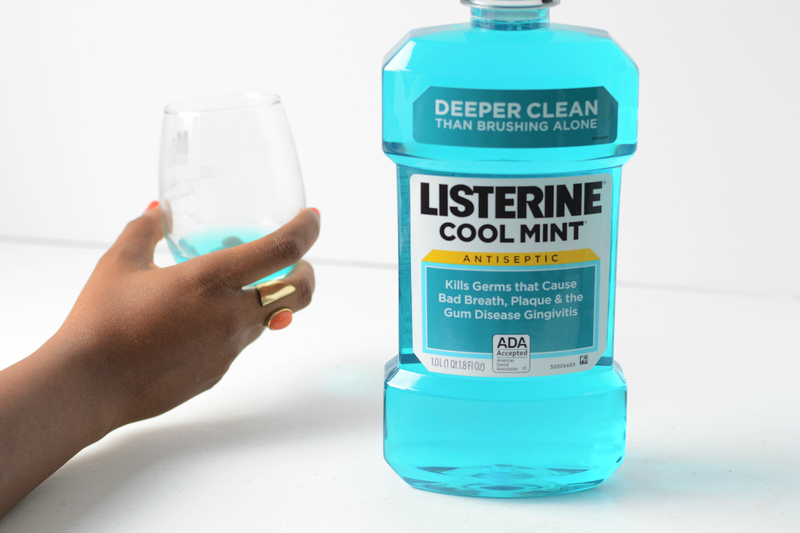 Listerine Cool Mint® kills 99.9% of bad breath germs and germs that lead to gum disease (in lab studies). 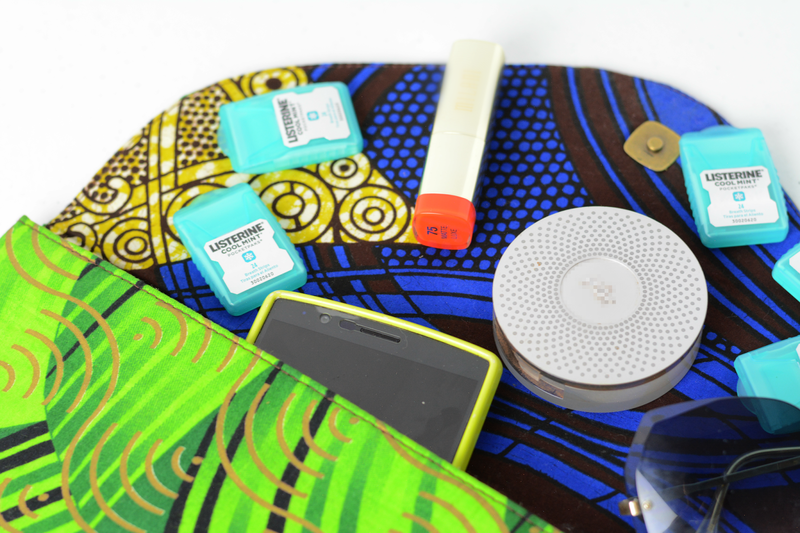 Using it twice a day provides 24 hours of germ protection. It's the only nationally branded antimicrobial mouthwash to receive the ADA Seal of Acceptance for fighting plaque and gingivitis. 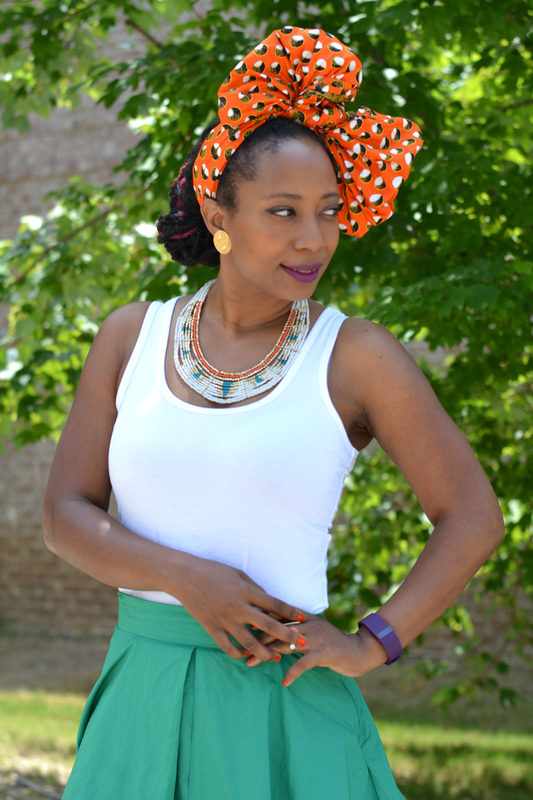 When you dress boldly or with moxie (tee) people notice. 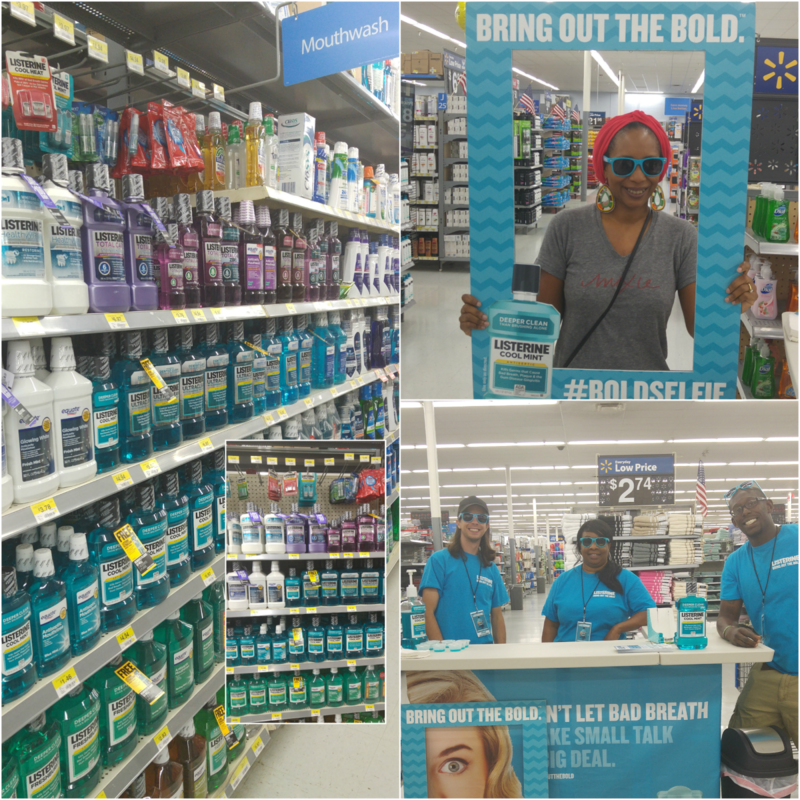 I visited Walmart during the Listerine Mobile Tour. I was fresh from drinking my morning coffee when I was asked to take a #BoldSelfie in some very bold sunglasses. I did it in exchange for a much needed swig of Cool Mint. I also discovered Listerine Pocketpaks® breath strips. One thin, little sheet dissolves instantly. It kills odor causing bacteria in 30 seconds helping me remain confident while on the go and dressed in bold summer fashion. What bold moves are you making?